It’s a reasonable drive to a mild winter escape in the Texas Hill Country, where the beloved bluebonnets start blooming in March near German-settled towns full of historic sites, galleries and wineries. Travelers love snapping pictures of Enchanted Rock’s pink granite dome. Photo courtesy of Daryl Whitworth. Tires crunch on the gravel road snaking through the ranch east of Fredericksburg, Texas, and pause outside the one-room Junction School. Four-year-old Lyndon Baines Johnson had begged his parents to start him here a year early, and he sat on his teacher’s lap in this room while he learned to read. As the wind buffets the bluebonnets in the field out front, some of the visitors at the LBJ National Historical Park stop at the tiny cemetery just down the road. You won’t find an American flag, just simple signs stating that the 36th president and his wife, Lady Bird, are buried here. To humble Midwesterners, Texas comes across as big and brash. But out in the Hill Country, 70 miles west of Austin in south-central Texas, the home of this president resonates with travelers eager to explore a side of the Lone Star State that somehow feels familiar. Mild temps this time of year—usually in the 50s and 60s—feel like spring to most of us. A getaway to Fredericksburg (population: 10,530), known for its carefully preserved Main Street, includes German heritage, fields of wildflowers, family-owned wineries, fine dining, and a Smithsonian-quality museum about World War II. Dotting the streets are hundreds of little cottages, a legacy of farmers who built these Sunday Houses for weekend trips to town during the 1890s. Most are now guesthouses with sumptuous beds and baths, but one, the Weber Sunday House, remains untouched on the grounds of the Pioneer Museum. Across town at the National Museum of the Pacific War—its location here honors native son Fleet Admiral Chester Nimitz—a submarine lurks in the shadows of the exhibits, including one honoring Iowa’s five Sullivan brothers, who died when their ship sank in 1942. The pinging of sonar fills the room. And with the sounds of explosions, the story of World War II’s Pacific theater unfolds with heartbreaking precision. History alone could fill your days here, but that would mean missing out on the 17 wineries dotting US-290. President George W. Bush served their vintages in the White House; framed menus hang proudly at Becker Vineyards, where staffers are quick to point out the winery’s awards, sensitive to those who wonder whether a region this hot could grow good grapes. 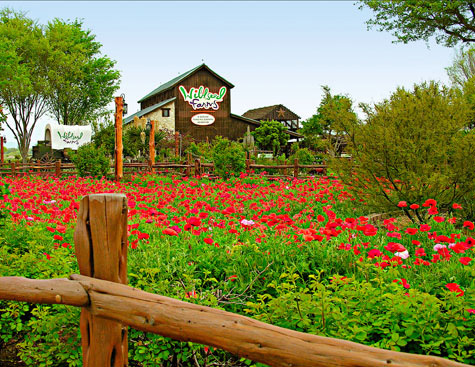 More than 200 acres of colorful wildflower fields greet visitors at Wildseed Farms. Photo Courtesy of Wildseed Farms. That love of the land brings travelers eager to see the area’s famed wildflowers. Vast swaths of color draw many to Wildseed Farms, the nation’s largest wildflower producer, and its sprawling gift shop and garden center. Fields of early-blooming lavender tempt Matt and Janice Fields of Edwardsville, Illinois, to stroll at Becker Vineyards. 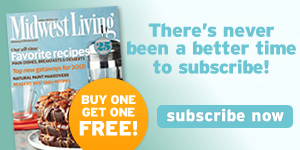 “There can’t be a better time to be here. Everything is in bloom,” Janice says. Then honeybees chase them away, nature’s prodding to keep exploring all that Fredericksburg has to offer. 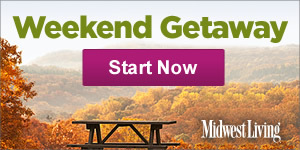 Click to the next page for our two-day getaway itinerary. Becker Vineyards. Photo courtesy of Trish McCabe Rawls. 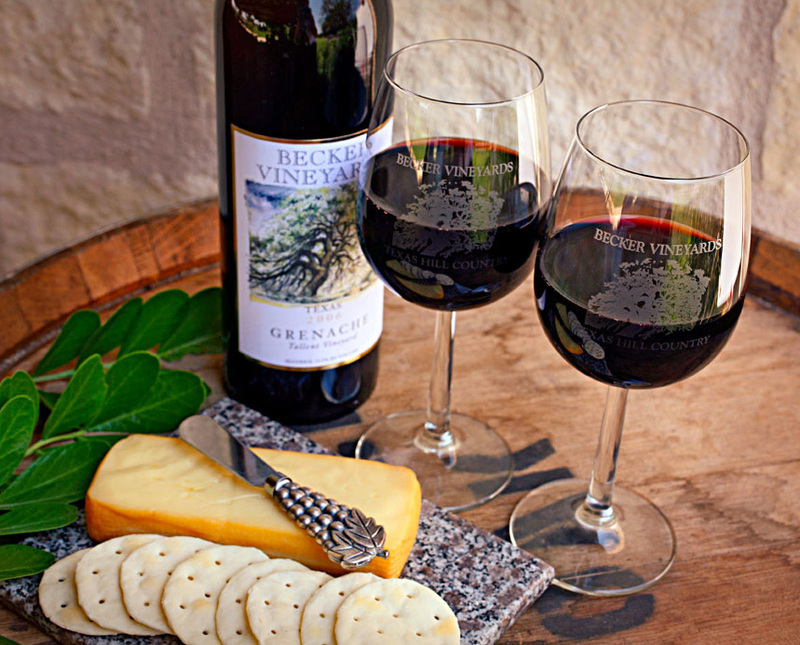 Wine aficionados love the tastings and lavender fields at Becker Vineyards (wineroad290.com). Seasonal wildflower meadows draw travelers to Wildseed Farms for seed shopping (wildseedfarms.com). Fresh veggies top wood-fired pizzas at West End Pizza Company (westendpizzacompany.com). More than 150 shops and art galleries fill historic buildings along Main Street. The galleries’ offerings include $25 whimsical rock art in River Rustic Gallery (River Rustic Gallery on Facebook) and striking $25,000 paintings at InSight Gallery (insightgallery.com). 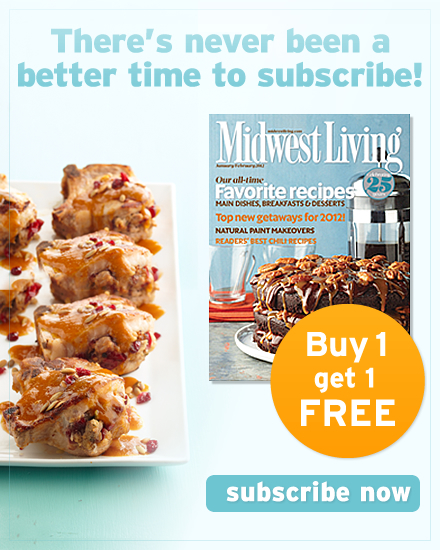 Classy shops showcase furniture, handmade quilts, home accessories, jewelry and more. Ask to sit by the waterfall at Cabernet Grill (cabernetgrill.com). The Hangar Hotel celebrates the romance of 1940s air travel; 50 posh adults-only rooms ensure a quiet, comfortable stay (hangarhotel.com). Sumptuous beds star at the Austin Street Retreat’s historic home, Sunday Houses and log cabin (austinstreetretreat.com). Grab an egg, cheese and chorizo breakfast burrito at Mahaley’s Cafe (facebook.com/mahaleys) or sinful apple-stuffed bear claws at Hill Country Donuts and Kolaches (830) 990-2424. German pancakes, egg dishes and pastries satisfy guests at Old German Bakery and Restaurant (oldgermanbakeryandrestaurant.com). You could easily spend two hours at the National Museum of the Pacific War (pacificwarmuseum.org). Refuel on slices of fruit- and cream-filled faves at the cute-as-a-button Fredericksburg Pie Company (830/990-6992; fredericksburgtexasshopping.com). 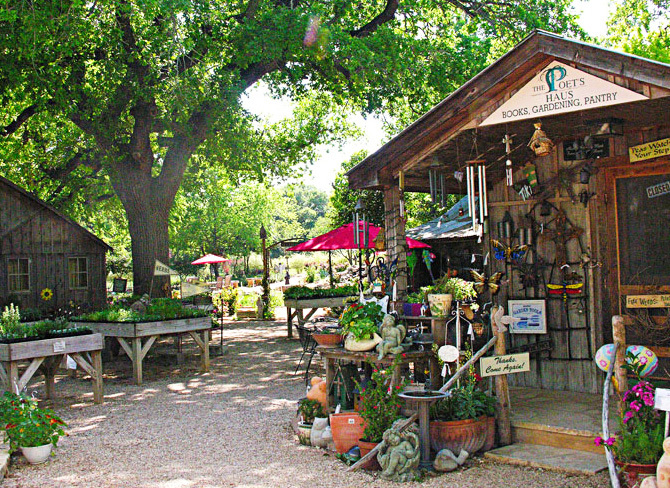 Rustic cabins house a spa and gift shop at Fredericksburg Herb Farm. Photo Courtesy of Fredericksburg Herb Farm. Across town, sunlight pours into the dining room at Fredericksburg Herb Farm, where the chef does wonders with chicken potpie and overnight guests find tranquility on porch rockers. From $239 (fredericksburgherbfarm.com). 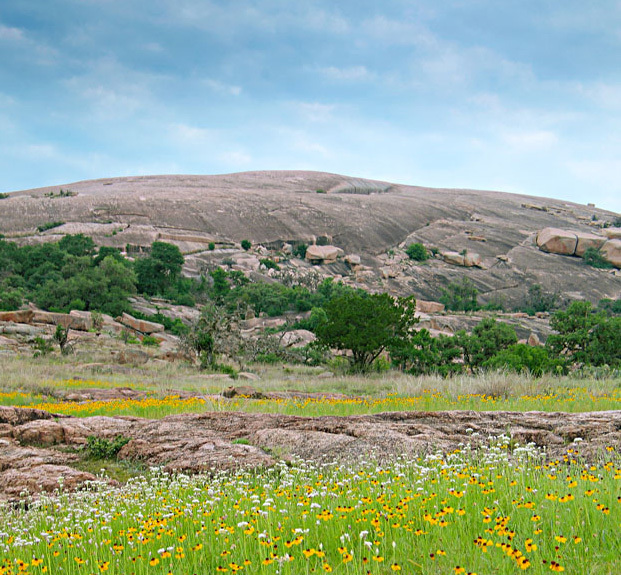 North of town, Enchanted Rock State Natural Area’s 425-foot climb rewards adventurers with Hill Country vistas (tpwd.state.tx.us). History buffs touring Lyndon B. Johnson National Historical Park learn how LBJ sometimes ran the country from his home beneath a 450-year-old oak tree (nps.gov/lyjo).